“If people are dying you do not need 24 hours to file an affidavit. When deaths take place some urgency is called for …you had made tall claims on that day and now you cannot file an affidavit ? SC TO AAP GOVT. The Supreme Court today pulled up Delhi’s AAP government for not filing the fresh affidavit demanded two days ago by the court in which it had sought the names of those officials “reporting to the Lt Governor” who were not cooperating and taking responsibility to check the spread of vector- borne disease like dengue and chikungunya in the national capital. A bench headed by justice Madan B Lokur had sought the names of the officials and the evidence of their non-cooperation on an affidavit after the lawyers for Kejriwal government made the startling claim on September 30. The bench had sought the affidavit by today. “If people are dying you do not need 24 hours to file an affidavit. When deaths take place some urgency is called for …you had made tall claims on that day and now you cannot file an affidavit ?, the bench asked imposing a cost of Rs 25,000 on Health Minister Satyendra Jain. The AAP government’s lawyers said they were “not getting officers to file it”. But the bench was not impressed or convinced. SC had on September 30 expressed surprise when Jain alleged through an affidavit that officials reporting to Centre were not cooperating and taking responsiblity to check the disease. “You have made a serious allegation in your affidavit. Who are the officials disobeying you? People in Delhi are suffering from dengue and chikungunya. You cannot treat them like this”, a bench headed by Justices M B Lokur had said. An affidavit filed by Jain in response to notices issued to Delhi government on a PIL which was taken suo motu cognisance of by the apex court said officials have not been cooperating to curb the diseases. Jain, in the affidavit, has said that officials were not taking responsiblity and all files pertaining to diseases like dengue and chikungunya were being sent to LG for clearance. On September 26, the apex court had sought response from Delhi government on steps being taken to check vector-borne diseases dengue and chikungunya in the national capital. Give the names and evidences of the officials who have been disobeying by Monday. It is a serious matter, the bench told the counsel appearing for Delhi government. The counsel sought some time to file the names and evidences and said he would file the names of officials who were not cooperating in a sealed cover. To this, the bench said since you have made the allegation on affidavit, the names and evidences of officials should not be filed in sealed cover. Senior advocate Ajit Sinha appearing for Lieutenant Governor refuted the charge that officials were not cooperating to fight the diseases as alleged by the Delhi Health Minister. A bench of justices Madan B Lokur and D Y Chandrachud converted a public interest litigation filed by a doctor Anil Mittal into a suo motu matter (court on its own taking interest) and sought responses from these bodies by September 30. 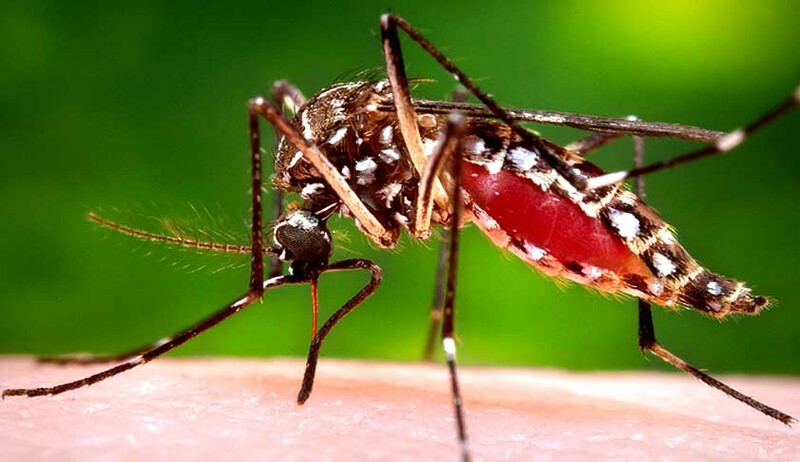 According to the latest figures, 1,568 cases of chikungunya were reported in just one week till September 17 — an increase of nearly 150 per cent over the preceding week. The bench first contemplated issuing notice to the Centre also but Attorney General Mukul Rohatgi urged the bench to first seek explanation from Delhi government saying the Centre comes into picture only if the government of the union territory failed.